Talking about F1: The F1 blog: Alonso looking ahead? Naturally, much of the focus at Silverstone yesterday was on the somewhat out of the blue announcement that this year will be Mark Webber's last in F1, as he's off to drive sportscars for Porsche from 2014. Fernando Alonso - thinking beyond F1? And yet it was something that Fernando Alonso said when asked about Webber's move that sticks in my mind. In the drivers' press conference the Spaniard said: 'I think he’ll have a lot of fun behind the wheel, as he’s doing now, with a little bit of less problems outside the wheel that we have now in Formula One. We enjoy 19 Sundays a year and the rest of the time is a little bit of a stressful time. With the new series I think he will have a little bit more fun.' It follows on from fairly similar sentiments uttered by Alonso in his excellent interview with Mark Webber on the BBC a few weeks ago - wherein he noted the stress of performing in F1 as well as the potential for greater enjoyment in other motorsport categories. Alonso is a driver who remains something of an enigma, certainly to those party to the English-speaking media. And before these comments I'd never really known of any indication of whether, when the inevitable day comes that his F1 career ends, whether Alonso would be more at the Michael Schumacher end of the scale, with little or no interest in taking part in other forms of motorsport, or whether he'd be more towards the Robert Kubica end, willing to try his hand at pretty much anything. Yet recent comments may indicate that he's at least nearer the Kubica end of the scale, and if so it'll be fascinating to see what he competes in once his F1 days are over, whether it would be following Webber into sportscars, or something else. For us fans it'll be a bonus too, given we'd still be seeing him performing rather than hiding out in Oviedo. It's easy to forget that although Alonso is 31 years old, still young by F1 standards (historical ones at least), he did make his debut at the sport's pinnacle more than 12 years ago. And much of his time since has been spent under pressure and scrutiny. As with anything there is only so much of this that can be sustained. And while we can point at longer F1 careers, particularly that of Michael Schumacher, it has been reckoned (such as by James Allen is his excellent biography of the great man) that Schumi's F1 career may have been much shorter had it not been for his enforced spell away from the spotlight after his leg break in 1999. 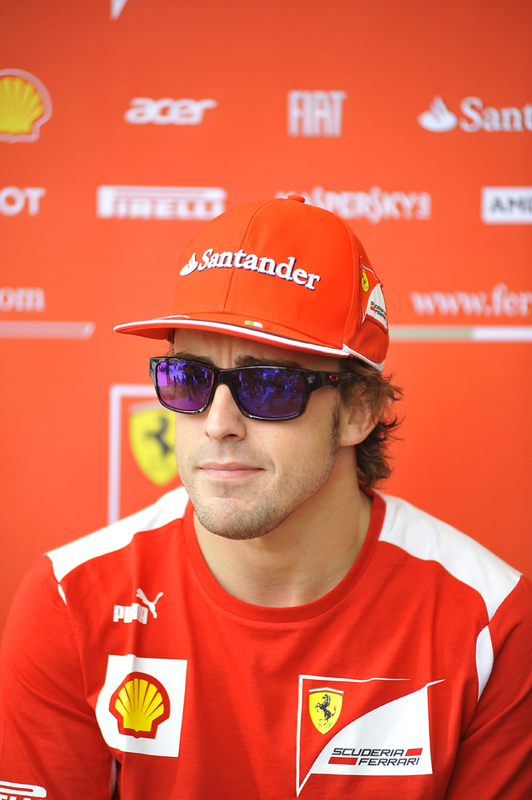 Of course Alonso has a long term contract with Ferrari until 2016, and it's unlikely that he won't serve out all or most of it. And if such thinking exists it certainly does not appear to be having a negative impact on his driving, which looks as strong as ever from where I'm sitting. But it seems that Alonso at least is looking ahead, and possibly is at the start of a mental process which Webber this weekend announced that he's come to the end of. A Nice little read there. Especially cause Mark and Fernando have been my two favorite drivers for years now. (I am Australian and a big Ferrari fan.) Keep up the good articles!